Today’s blog is an excerpt from Grace Life staff member Renée Berry’s new book, Invite Him In. It seems that I have hopped on the emotional roller coaster again. How can that happen so quickly? A good day, a bad day, back to a good day. My feelings are controlled by how well I feel and bam, that becomes my truth for the day! I guess for today I just do not get it. I am so hurt, disappointed and discouraged and it seems to be a reality I cannot escape. I want to experience Your Life in this place, but today, I cannot break through. Come get me Lord! I Invite You In because You are all that I need today. I know You are Enough. Would You nurture my heart? As I Invite You In, I acknowledge Your Presence, whether or not I feel it. I can open my Bible and read and that might bring me comfort. I just do not want it to be knowledge without relationship and intimacy. Right now I need You! I have witnessed the manifestation of Your Word through other people, a praise song, the wind rustling, and a thunderstorm. How will You show Yourself to me today? Open my Spirit eyes that are so tightly bound in my feelings today. I cry out to You to break through my emotions so I can see and experience the work You have done in me. Reader: I encourage you to go to the Lord today with your struggle and receive what His Living Word has to say. Listen to see what His still small voice whispers to your heart. Lies that we are tempted to believe and the feelings that accompany them need a personal exchange today. 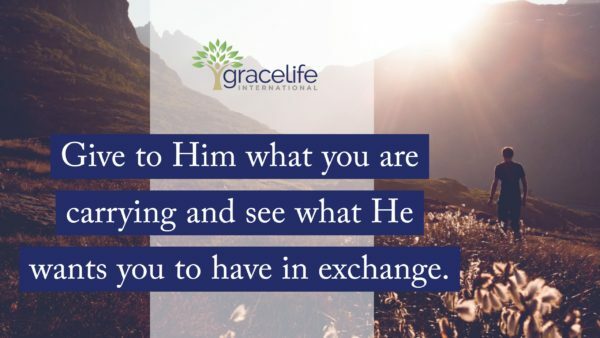 Give to Him what you are carrying and see what He wants you to have in exchange. Invite Him In! 2 Samuel 5:20 – And David came to Baal-perazim, and he smote them there, and said, The Lord has broken through my enemies before me, like the bursting out of great waters. So he called the name of that place Baal-perazim [Lord of breaking through]. 1 Chronicles 14:11 – So [Israel] came up to Baal-perazim, and David smote [the Philistines] there. Then David said, God has broken my enemies by my hand, like the bursting forth of waters. Therefore they called the name of that place Baal-perazim [Lord of breaking through]. 1 Thessalonians 5:16-18 – Be happy [in your faith] and rejoice and be glad-hearted continually (always);  be unceasing in prayer [praying perseveringly];  Thank [God] in everything [no matter what the circumstances may be, be thankful and give thanks], for this is the will of God for you [who are] in Christ Jesus [the Revealer and Mediator of that will]. Isaiah 61:1 – THE SPIRIT of the Lord God is upon me, because the Lord has anointed and qualified me to preach the Gospel of good tidings to the meek, the poor, and afflicted; He has sent me to bind up and heal the brokenhearted, to proclaim liberty to the [physical and spiritual] captives and the opening of the prison and of the eyes to those who are bound…3 – To grant [consolation and joy] to those who mourn in Zion–to give them an ornament (a garland or diadem) of beauty instead of ashes, the oil of joy instead of mourning, the garment [expressive] of praise instead of a heavy, burdened, and failing spirit–that they may be called oaks of righteousness [lofty, strong, and magnificent, distinguished for uprightness, justice, and right standing with God], the planting of the Lord, that He may be glorified. Does this truth speak to your heart in a real way? Want more? 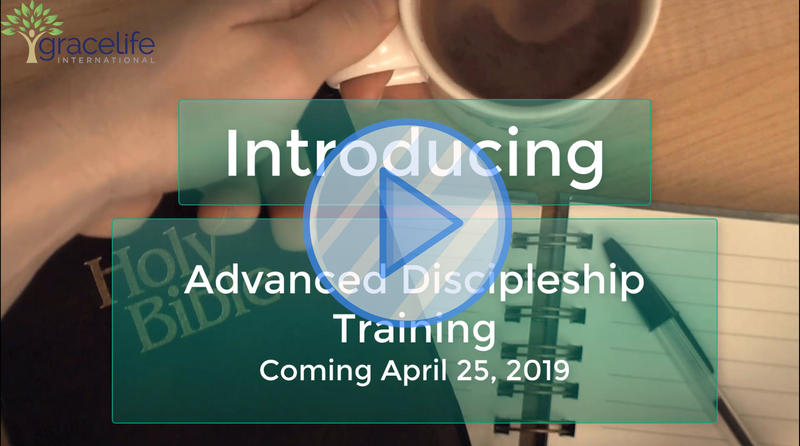 Check out our upcoming Advanced Discipleship Training, or consider visiting us for a Personal Counseling consultation.